During the last two weeks I started officially my Late Imperial Roman Dbmm tests. 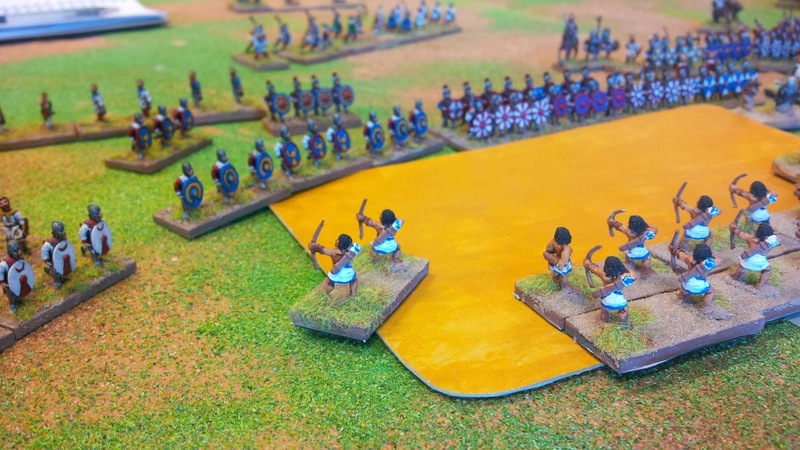 The first match involved Late Imperial Roman against Later Hoplite Greek. 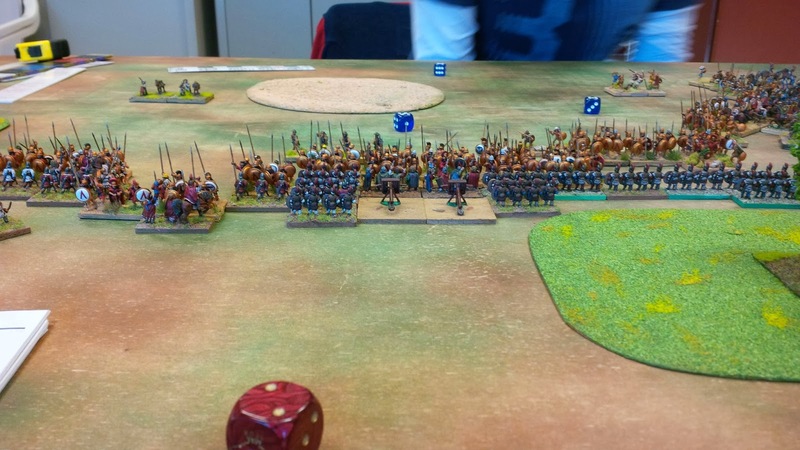 Riccardo took the command of the Spartans while the Romans, of course, are mine. Riccardo M. used his list reported by Lorenzo M. into Tagmata site. 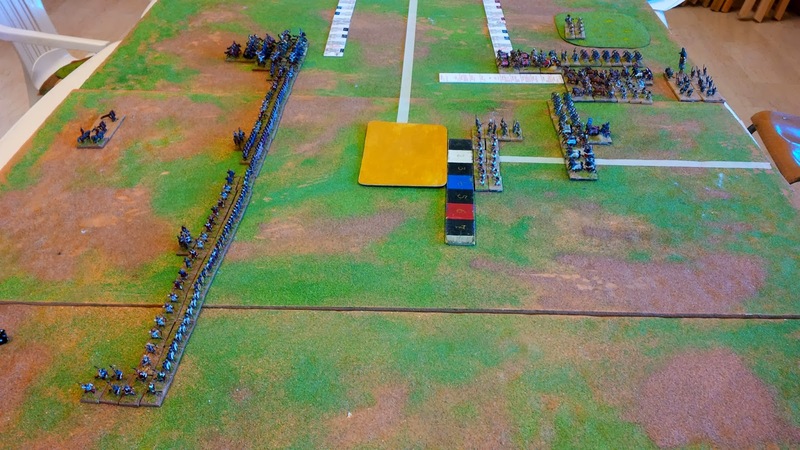 I deployed my cavalry on the right, blade at the center and auxiliaries as left wing. 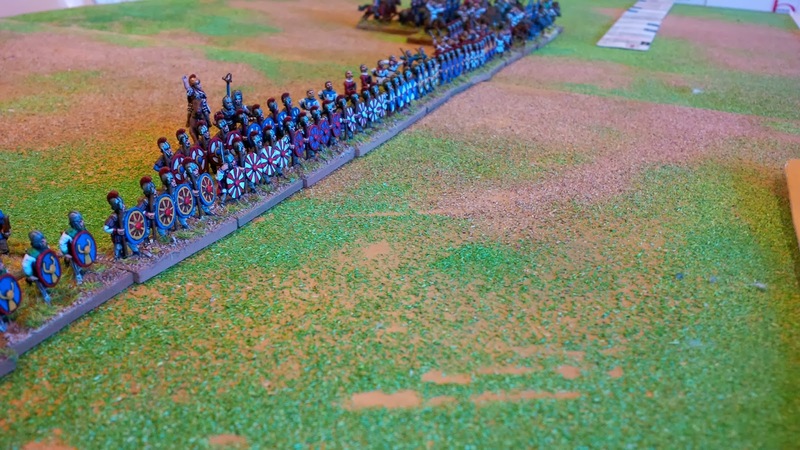 The Riccardo's steamrollers are coming. 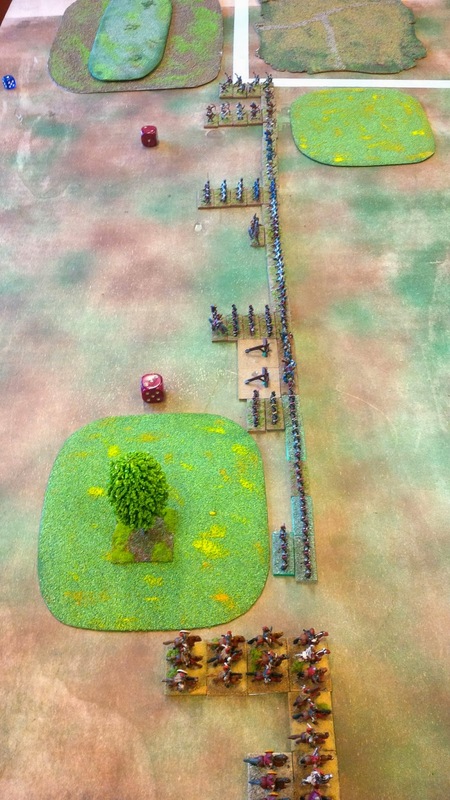 My original plan was keeping a static defense with blades and auxiliaries while my cavalry outflanked the enemy left . Unfortunately, due to my inexperience, my right wing was too slow and so Riccardo had the possibility to arrive without problem till my center. 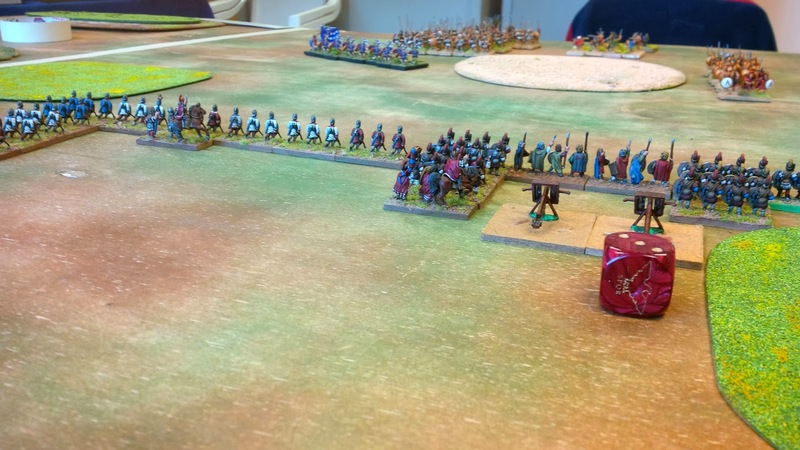 Furthermore, Riccardo screened his spears with a line of Psiloi, force my blades to charge. - do not deploy blades without a screen of psiloi. 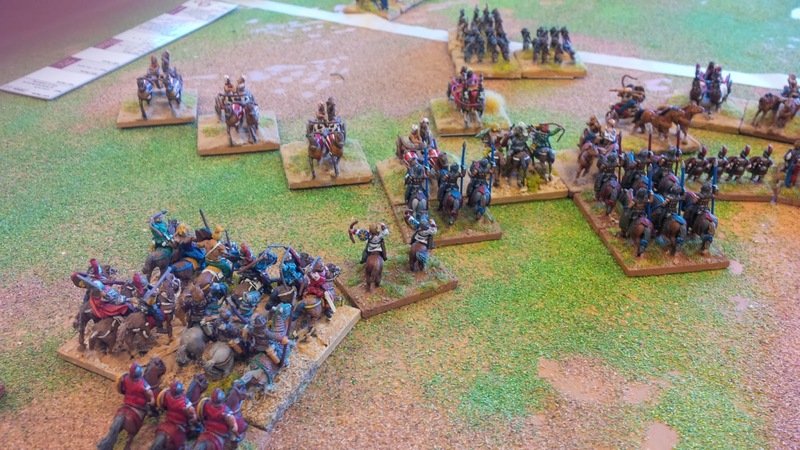 It is not a great idea to think that psiloi can be used only to support blades against cavalry. 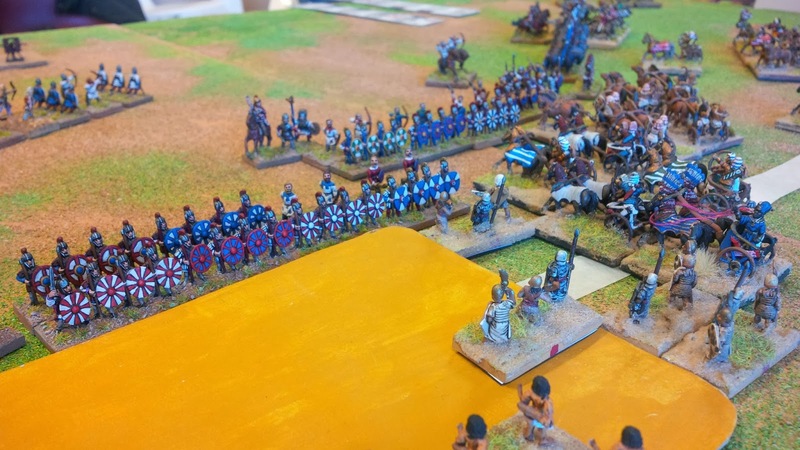 My opponent was again the patient Riccardo M.
My roman army is not completely painted but I reached a number of bases sufficient to prepare a line of battle. 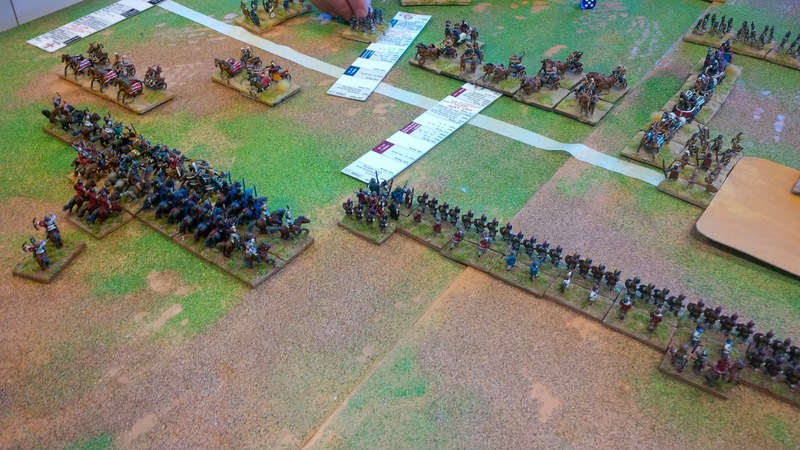 I deployed cavalry on the left, blades on the center and auxiliaries as right wing. The field is substantially open with only a Bua on the middle of the table. My opponent chose Tucmoses III as CiC, a brilliant general. It was the first time I fought against this kind of Dbmm option. 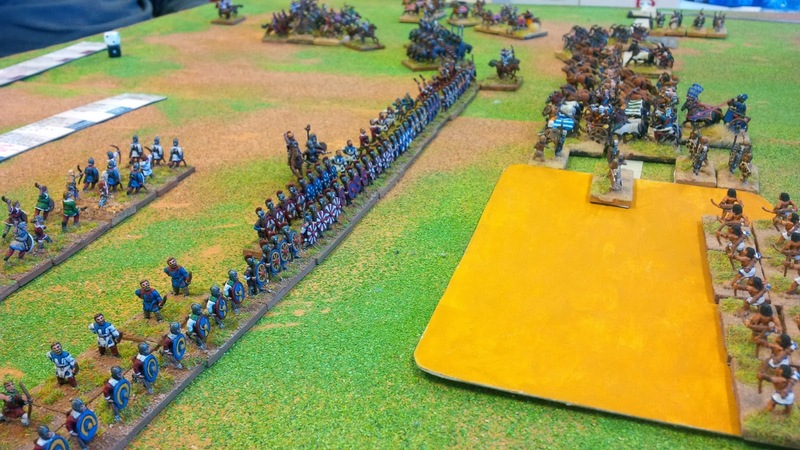 My original plan was to attack with the cavalry but Riccardo moved his right flank more quickly than I expected (12 pip ie 6 pip standard increased by two ... brilliant general docet) and so I was again subject to his TZ. This time, thanks to support of Marco D. that helped me as advisor, the conclusion was less catastrophic than the previous-one with an enemy Sub Commander destroyed agaist a couple of my blades.